I like the " Tommy Huff amps." Got two. Stereo Steel for.about thel last 7 years. Amps that I had in the past that that I wished I still had was an old twin with JBLs and old supper reverb converted to a twin with 15in. JBL. over the decades I have had everything Fender has ever made on the back end of my steels signal chain at one time or another, Showman/Twin Reverb /Bandmaster/Bassman/Tremolux/Bassman70/PA100/Super Reverb/Super Twin Reverb/ Fender 75/Fender 140/Deluxe Reverb/Princeton/Bandmaster Reverb,, etc etc. They were all either great/good/fair/lousy. To my ears I had 2 amps that just had a Fender "steel" sound that was incomparable-a 1971 Super reverb, and a 1970 Bassman head..
Those amps were just magic tonally for pedal steel, never heard anything as good for me personally. Milkman half and half pedal steel combo. The sound, the weight and the direct out makes this a great choice! Quilter Steelaire and Milkman The Amp. Like both real well. Standel 50L15. Runner up is an early solid state Standel Custom XV. The two together is quite an experience. Evans SE-200, Quilter Steelaire. Use a Black-box with both. Quilter for 3 years and going strong. For the money, I really don’t think you can go wrong with a Peavey Session 400 or 500, accept for the weight. 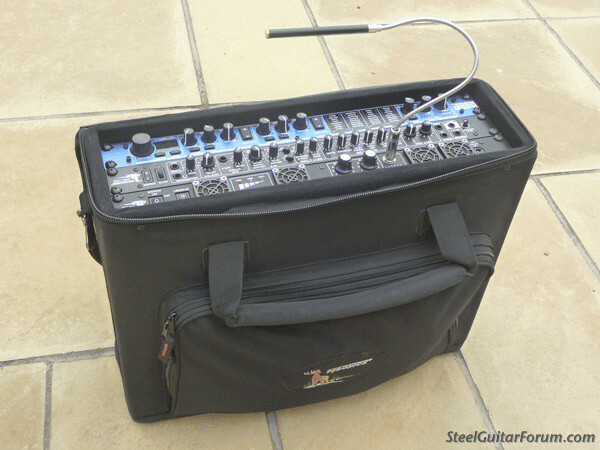 For a Rackmount I love the Quilter Steelaire... maybe one of the best “Live” sounds ... and one of the best onboard Reverbs I’ve heard. My favorite “right” now is the Telonic’s 500C Super Twin 212... A little tricky setting up, but Dave writes the best Manual's HANDS DOWN of any I’ve read, and once set up, for recording this has the best DI I’ve heard, I’ve heard more than a few “Professionals” say that these amps have a lot of MOJO... Very Transparent... what you hear out of the amp is what you're recording. Telonics TCA-500C & FP-100D pedal. I had others that were great. I liked the Steelaire and Milkman as well. Sorry, but no “ best” , it depends on the sound you like and what you need. Budget may be an issue, or weight. I really like the throw and go aspect. One power cord, no gizmo boxes on the floor. Fast set up, fast escape. My fav is the THD BiValve-30. It is a single-ended Class-A amplifier head with dual output tubes that can be switched among many octal-based power tubes for different tones. And, you do not have to re-bias the amp. The two output tubes do not need to be matched in any way and you are free to experiment with any combination you want! Likewise, the two preamp tubes can be any combination of 12AX7, 12AT7, 12AU7, 12AY7,12AZ7, et cetera. I play through a BW 15 mounted in a Sessions 400, which is my second favorite. Evans SE200. Peavey sounds good until you hear something else ? My main practice amp is a FENDER CHAMP custom box with a 12" CELESTION BLUE.fantastic sound. I do have a MARSHALL JMP WITH A 1970 MARSHALL4X12 for put em on there knees sound. Wow a lot of good amp suggestions. 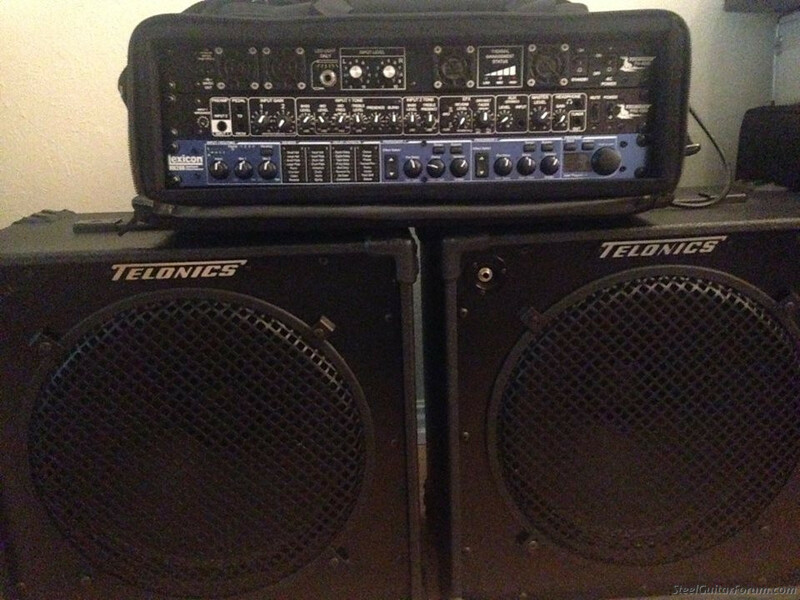 Telonics TCA 500 by far. Sound wise the Sarno Revelation Tube Pre-amp through a TC Furlong Split cab was super sweet rig also. But for sound, power and a ton of useful features I'd have to go with the Telonics. For a louder stage, by far, blackface or '67-69 drip-panel Twin Reverb (they're a bit different). I also really like my old Session 400 with a 12" Telonics speaker. For a relatively quiet stage or recording, I still like a Deluxe or Princeton Reverb, either blackface or silverface, with a JBL. Right now I have a D120F in the Deluxe Reverb, and a M-series JBL in the Princeton Reverb. Princeton probably too lite for deep C6, but for E9 I like it at lower volumes. For my current bands, I am mostly using the Deluxe for gigs, but sometimes Princeton for real quiet gigs or recording. The Deluxe or Princeton Reverbs sound great. But probably given my druthers, I really like my '53 wide-panel 5C4 tweed Fender Pro or '54 wide-panel 5D3 tweed Deluxe. There are lots of other good choices, but another consideration for me is how it works for guitar, and for me, it's hard to beat the versatility of old Fenders. Sound wise the Sarno Revelation Tube Pre-amp through a TC Furlong Split cab was super sweet rig also. I have that setup also, and I completely agree. It's too much for the bands I'm in right now, but if I had to contend with a loud band, it would probably get more use. Stereo line out that sounds fantastic. Posted 9 Feb 2019 2:04 pm What’s your favorite steel amp?